Kuwait - 2 April 2019: Burgan Bank announces that its airport branch will serve its customers and resume the normal working hours during “Al Esraa Wal Mearaj” holiday, on Thursday, 4th of April, 2019. The branch operates 24 hours in an effort to accommodate banking requirements for travelers’ during the public holiday. 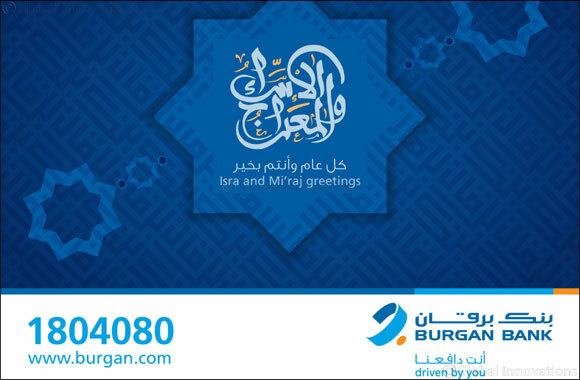 On this occasion, Burgan Bank extends its best wishes and greetings to the public.